Aww, thanks for the shout Gene! 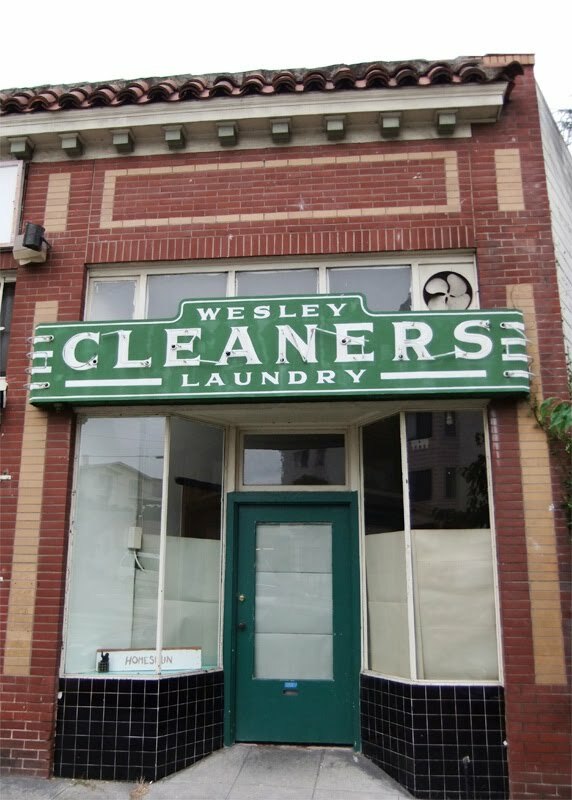 Love Wesley Cleaners, and I'm such a big fan of your blog! Looks like it will be a great addition to my neighborhood. With the Leaning Tower next door and the wonderful Cafe 504 less than a block away at 504 Wesley, that intersection is a model for how even a small cluster of businesses can center a community. Excellent! Thanks for the info, DC. I just found this little neighborhood the other day, walking from my new place up on Grand to the Merritt Restaurant (nice, long walk). The new bike shop is looking awesome. Thanks to the owners for reusing that sign and making a great looking store. 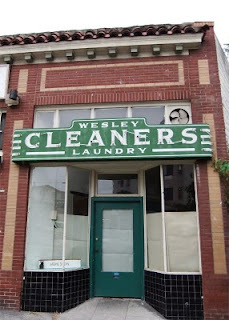 Sadly, the current residents just removed the glass tubing and paint job.